Rock Edge a Site of Special Scientific Interest (SSI), and is situated at the south-east end of Windmill Road (map). 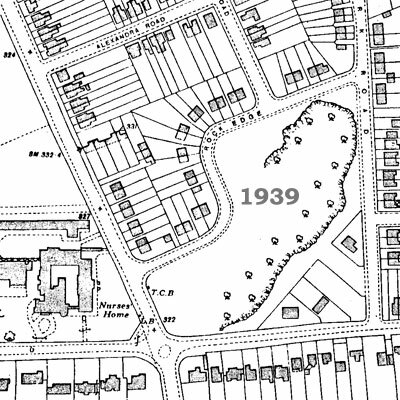 It was formerly known as the Crossroads Pit, as it stood at the important junction where Old Road (the main route to London until the late eighteenth century) crossed the road from the village of Cowley to that of Old Headington. 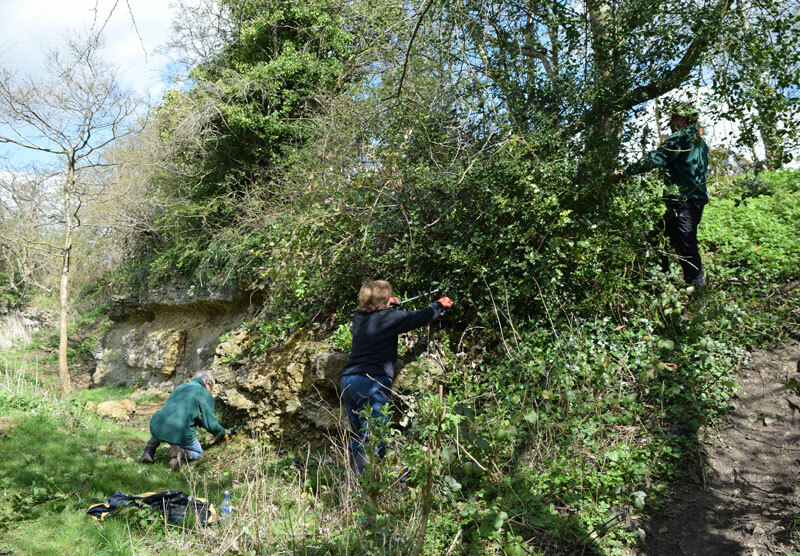 It was also sometimes called the Windmill Quarry, as it was just to the south of Headington's main windmill. 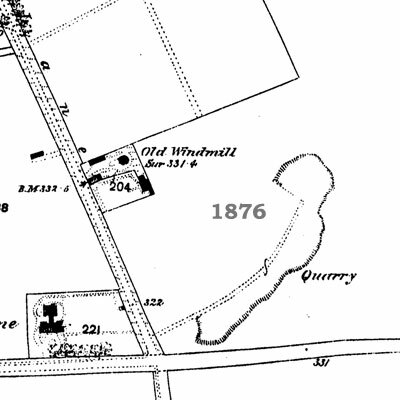 The two maps below show how the land around the quarry was built up between 1876 and 1939. 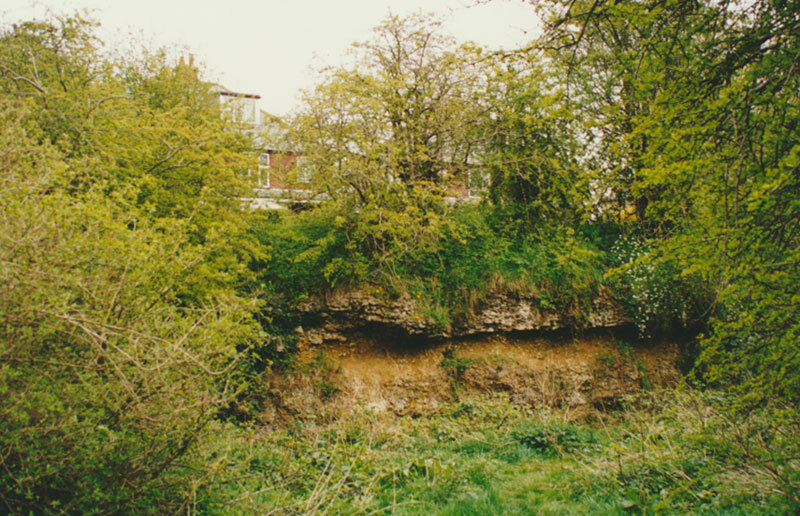 The “New Headington and Headington Stone Quarry” belonging to Messrs. George and John Snow that was advertised for sale by auction in Jackson's Oxford Journal on 21 June 1856 is likely to be this pit, as no other quarries were in the New Headington area. 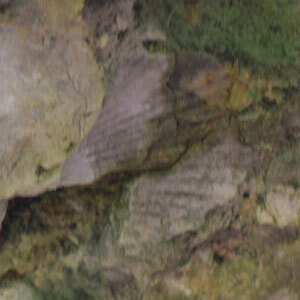 The cliff of the pit at Rock Edge has exposures of Upper Jurassic limestone, laid down about 160 million years ago. This pit is thought to have been a former boundary between a coral reef and the surrounding shallow sea, and therre are many fragments of coral and fossils including sea urchins. South end of the exposure (closer Old Road): The limestone here is Coral Rag, made up of coarse fragments that broke off the reef: it is very rubbly and contains many coral and shell fossils. 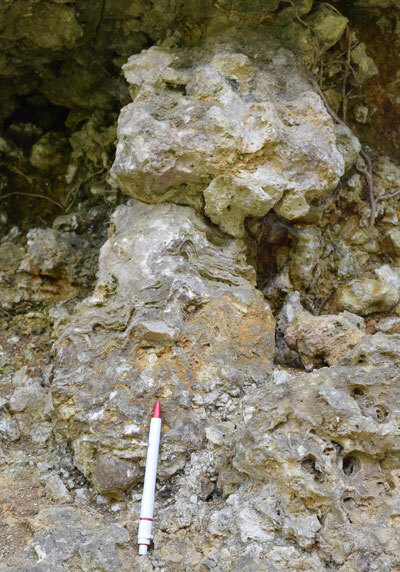 North end of the exposure (closest to York Road): The limestone here is Wheatley limestone, made up of material that washed off the reef, and the fossils are smaller and more fragmented. Other corals to be found at Rock Edge include Thamnastria, Thecosmilia, and pecten shells (scallops).